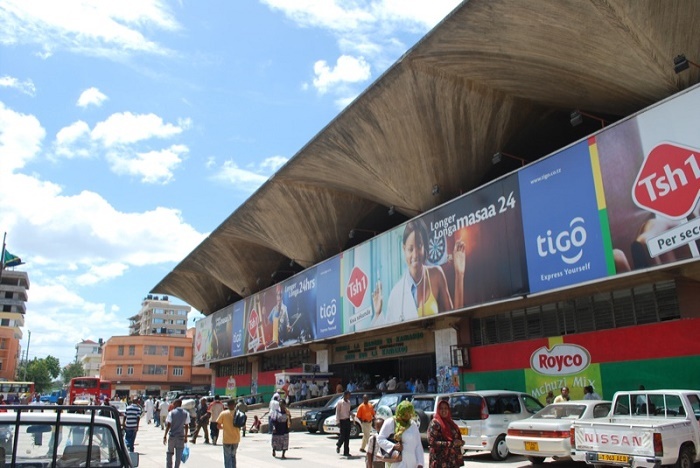 The Kariakoo Market is a large market area with a very unique building that is located in the Kariakoo Ward of the Ilala District of the former capital city of the United Republic of Tanzania, Dar es Salaam. 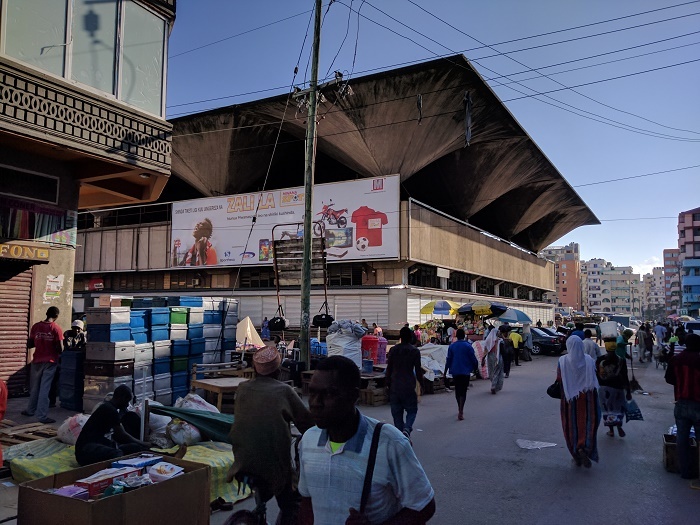 Spanning over several city blocks, Kiriakoo Market is one of the main places where the people from Tanzania’s largest city can get not just food, but basically anything every morning, noon and night. 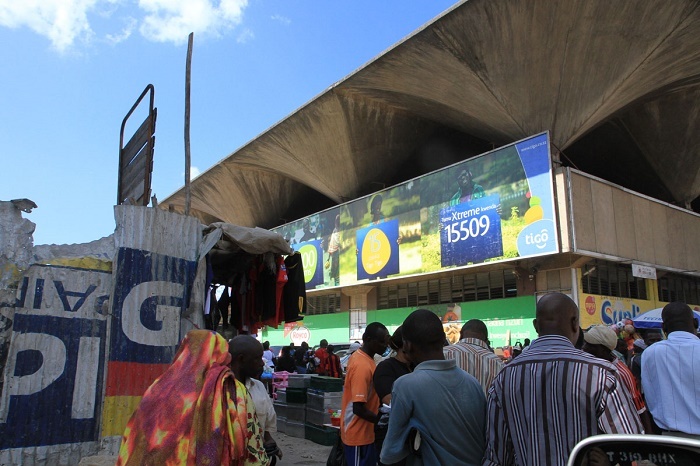 Previously, the British Carrier Corp barracks once stood here, where nowadays, there is this concrete tall building that was designed in 1974 by the Tanzanian architect B.J.Amuli. 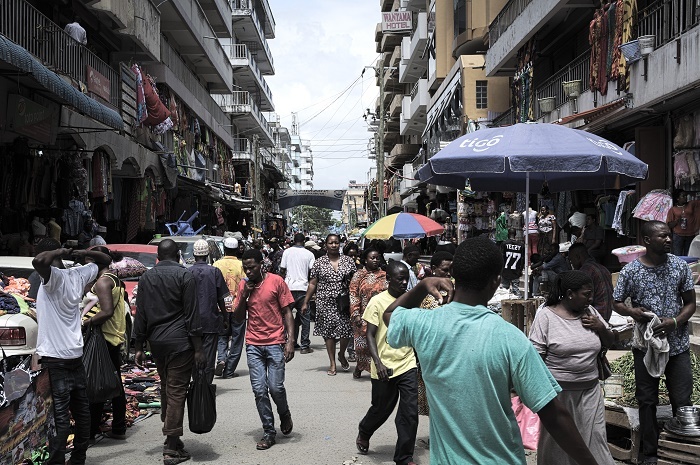 Since then, the story for this busy place continues to attract many people who would like to be in middle of the busiest parts of the city. 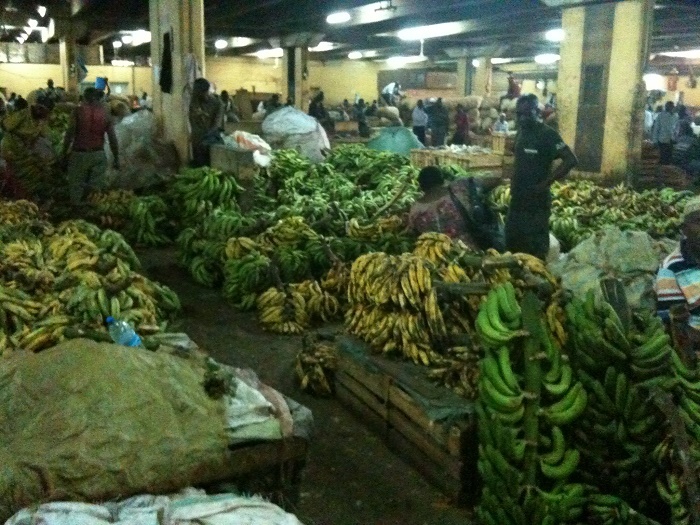 The building has three floors of market, but the market itself is not contained only within the building, since it spreads even around in the neighborhood. 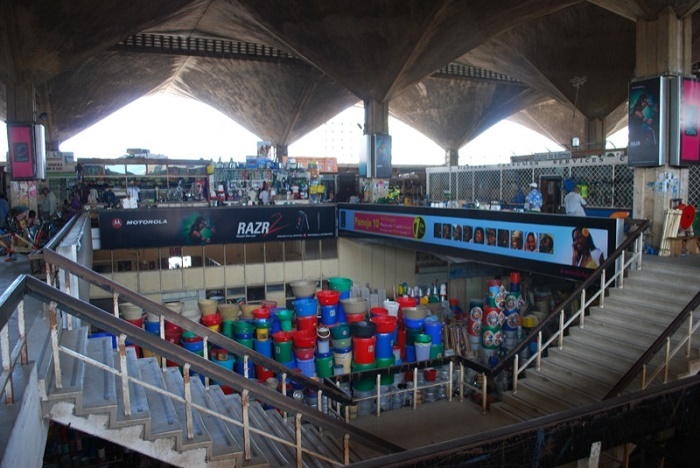 Amuli definitely thought of every single detail about the construction of this interesting architectural masterpiece, as it is very well adapted to its function, with the necessary air circulation and series of gigantic funnels from the roof that are used to harvest the rainwater in the tanks below. 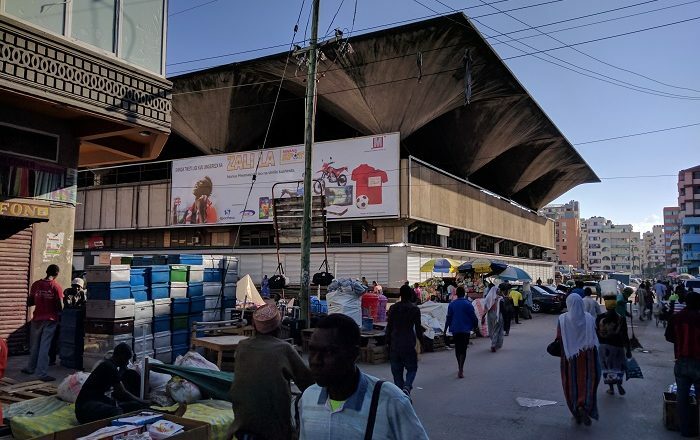 Lately it can be noticed that the market is no longer situated inside the building, and instead of the regular sights that one could see on the street, will not see inside. 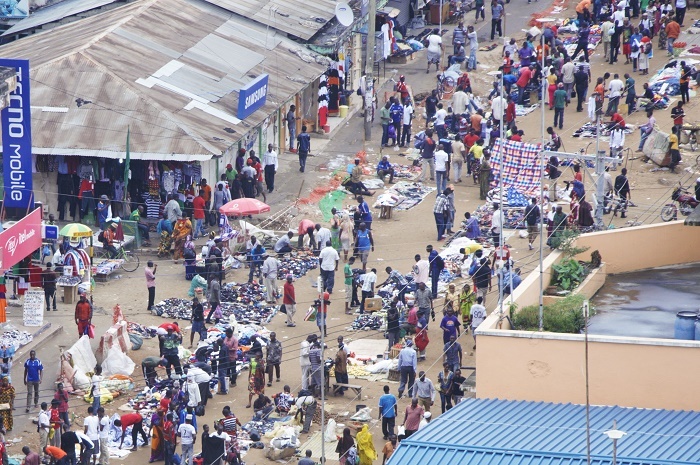 On the ground and first floor of the building are stores that sell some specialized and expensive goods, which makes the function of the market to be changed a bit, but the spirit still remains the same. 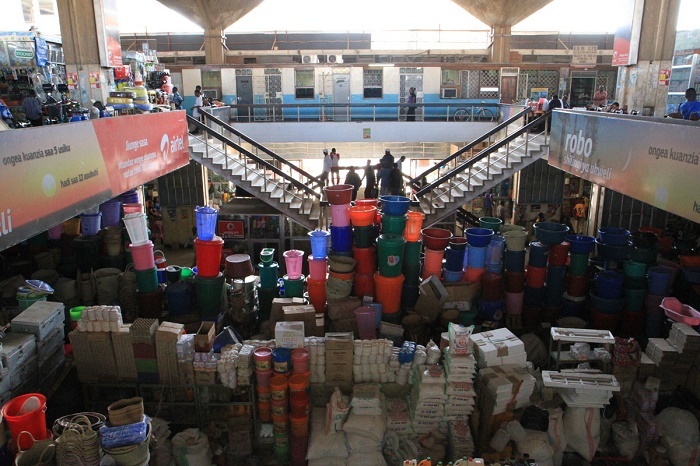 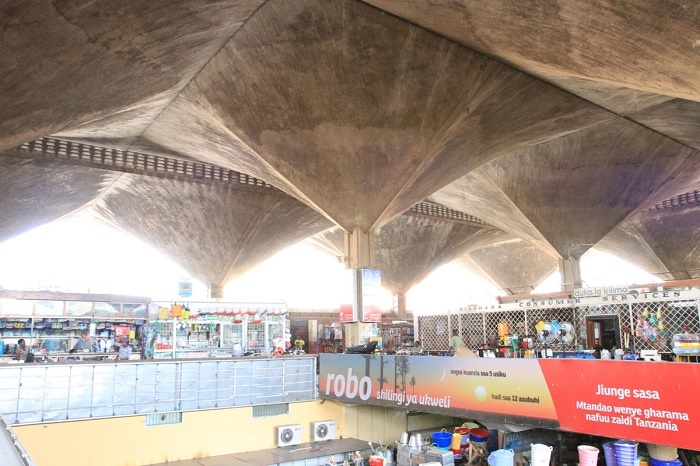 As there are other structures being built around the building in order to give shades to the open spaces, the Kariakoo Market shall definitely remain one of the most unusual places, a commercial center which will attract even in the future more visitors who would like to experience a real Tanzanian market bargaining.